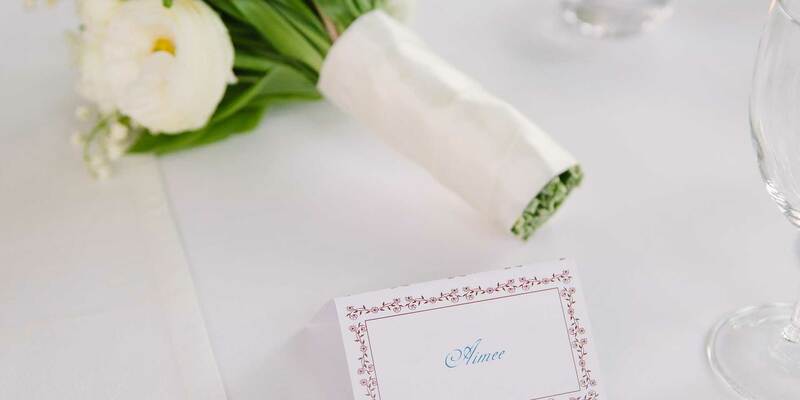 When it comes to your big day, we believe that your perfect venue should be one that you can have all to yourself, exclusive to you and your guests. The Sadler Venue, on the outskirts of Oxford, is completely private. It’s bright and modern so that you can design it to be dressed and lit in whatever colour and style you wish for your special day, from traditional to contemporary, funky to vintage. 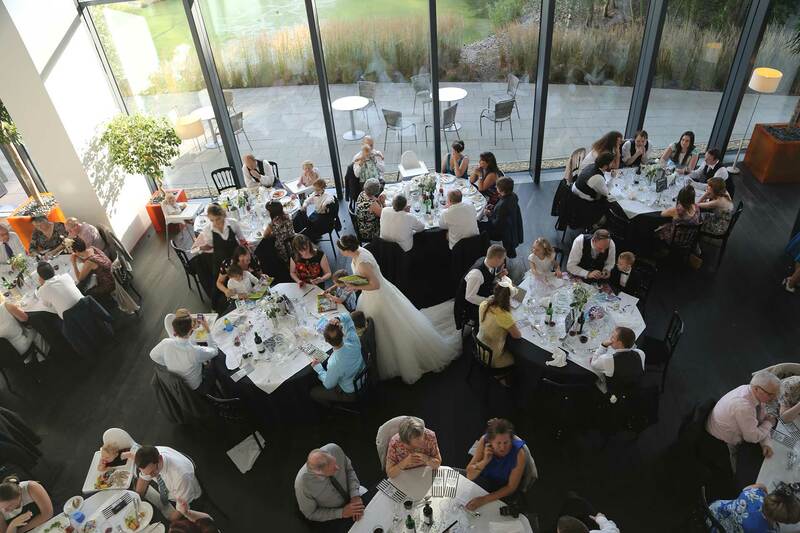 We host many weddings, birthday parties and celebratory events from 60 to 200 people, in our modern contemporary space with seamless views across our fountain and lake and our wildlife corridor. 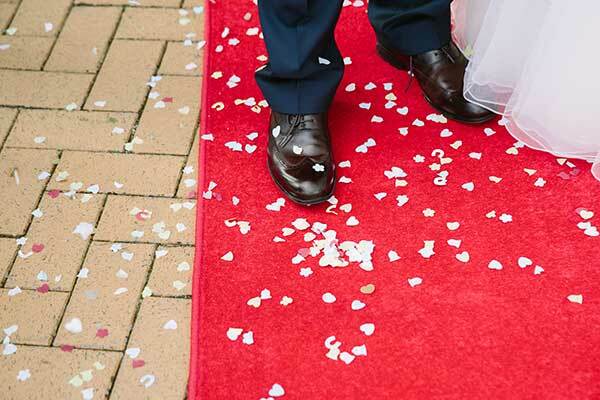 We provide exceptional service so you can focus on the big day. We are so happy to invest our time to really understand what you’re looking for that will make your day exceptional. Or please do come and visit and experience our beautiful location with all its landscaping in what will be your very own venue for your special day. 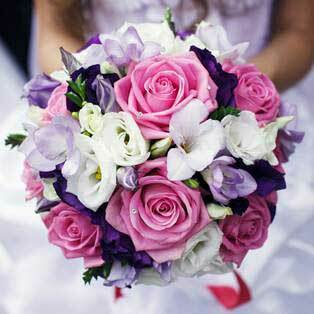 Read our latest five star reviews on Guides for Brides. Find us, visit us, book us, and enjoy your special day. 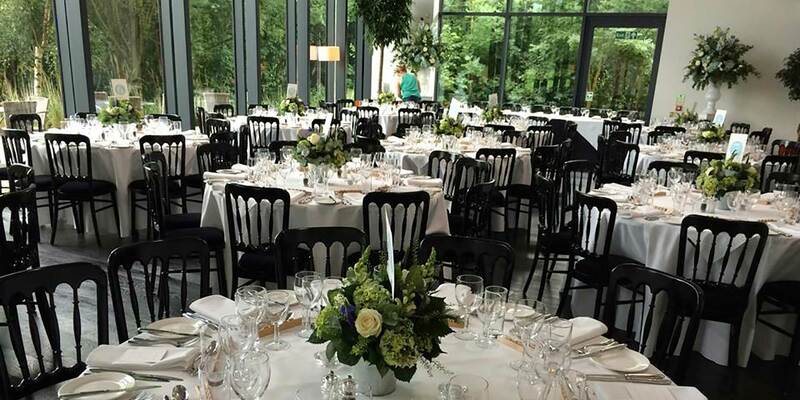 With contemporary, spacious and modern architecture, The Sadler Venue is the perfect place to host your special event. We know that making your guests feel welcome from the moment they arrive is paramount. That’s why the team’s many years’ experience means that we attend to every detail. 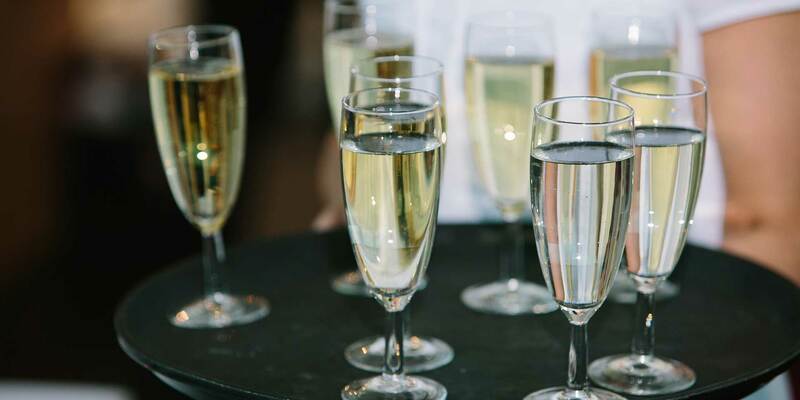 As you arrive, you’ll find our large natural light filled atrium, our fully licensed bar run by our friendly and experienced bar team who will look after your guests and drinks throughout your day, and a space in which to celebrate. Your menu can be chosen to whatever your heart desires, and our exceptional catering and waiting team can attend to everything. And there are also spacious bathrooms and also the option of a cloakroom where if they wish guests can leave their jackets and belongings. And for when the sun sets, our inside and outside lighting schemes mean the colours can be selected by you, making your day all the more personalised. Getting the food right for your guests and you is key. Our highly skilled head chef and team produce exquisite dishes using fresh produce combining regional and global influences. They are able to accommodate for every occasion and diet. Local seasonal ingredients are used where possible to reduce our impact on the environment, promote local business and ensure our food is simply fresh and tasty. 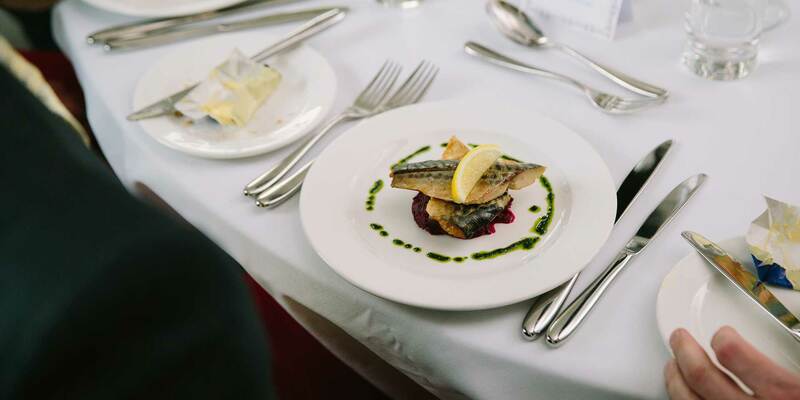 We pride ourselves on producing personal menus to meet your requirements and budgets, ensuring that we capture the essence of your day in the tastes and flavours of your menu. Alternatively, for ease, you can choose from a selection of our sample menus. 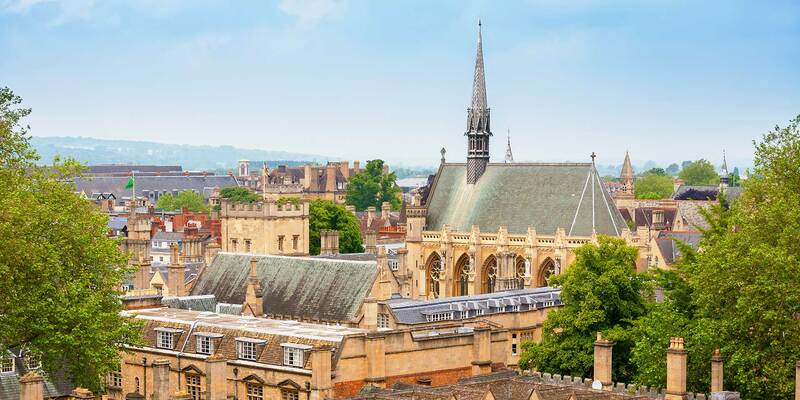 Our location is four miles south east from Oxford’s city centre within the beautifully landscaped The Oxford Science Park. We are conveniently situated within easy reach of the A34, M4 and M40, making it easy to get to us from Oxford, London and the surrounding area. We also have ample free and overnight parking. By rail, we are a short ride from Oxford city centre’s railway station. Should you require accommodation, please contact us for details of discretionary rates for a number of hotels situated within a mile of The Sadler Venue. 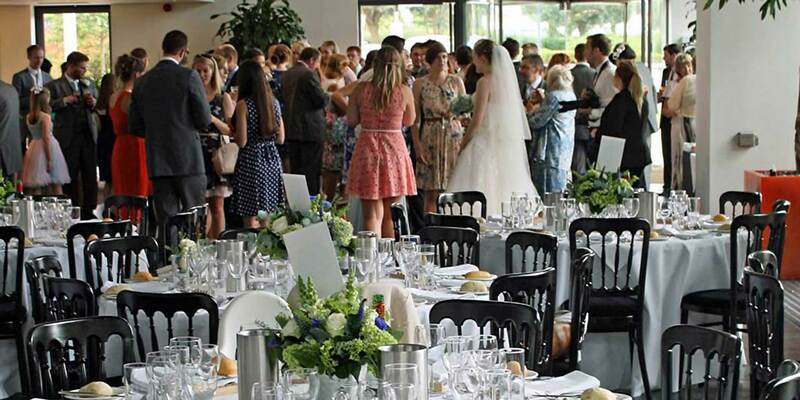 We host many different types of celebrations at The Sadler Venue, with the most popular being weddings and birthday celebrations. Here you will find just a selection of some images that capture the parties for which we’ve catered. We are currently updating our rates. Please get in touch to find out about the venue’s rates and availability. We’ve built up a trusted list of suppliers from cake makers to DJs, photographers to florists, with whom we’ve worked for years, meaning that they know the venue, and most importantly they are used to working with us to our highest of standards. Oxfordshire Wedding & Event Photographer, Warrick Photography offers a friendly, fun, relaxed and professional service. They will be delighted to help you create memories that will last a lifetime! birthdays, anniversaries, weddings and corporate events. event equipment for all occasions from weddings to conferences and garden parties, plus much more. 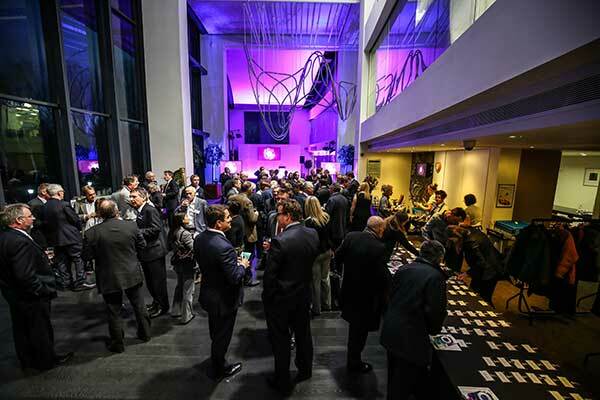 Event Prop Hire is the UK’s premier events prop hire supplier; offering event theme solutions for any budget. With over 5,000 props in over 150 exciting themes to help you create a memorable event, whether it’s a themed party or exhibition, Event Prop Hire prides itself on its fresh ideas, creative talent and a reputation for excellent service. 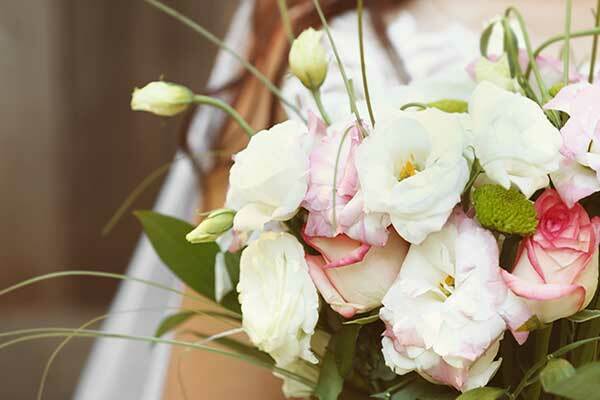 Here we share some thoughts on how to make your day special. Ideas to theme your wedding! We would love to hear from you and are so happy to chat through what you’re looking for and how we can help you. Just get in touch or complete the form. Please note: We are very sorry but due to the size of the venue, it’s not possible to accommodate guests numbers below 60.